This intellectual weaponry uses the Torah concept of "Land of Israel" in a perverted way. For over 60 years this weapon in fact has beaten all the combat vehicles, aircrafts, multiple rocket launchers and all other military systems. 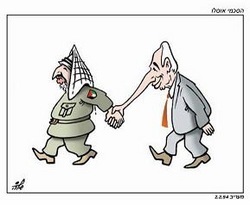 It overcomes all the efforts of Israeli army, police and intelligence. This weapon is really powerful on its own. Besides that, all other terrorism's activities draw their strength, sustenance and finance from this core weapon. Moreover, it gives the terrorists all kinds of excuses for committing any bloody dirty murders. This weapon also grants them the support of many nations and harvest over three billion euro annually (almost one half of the Israeli military budget). As for now, The brand "Palestinian" uses as the formative entity for all new claims for Jerusalem. It is quite comparable to the Israeli citizenship and it is the only basis for dividing Jerusalem for the sake of another capital. This case can be heard as an Identity Theft, Stolen Identity, Ghosting, Forgery, Falsum, or just as "Stolen and found" kind of case. 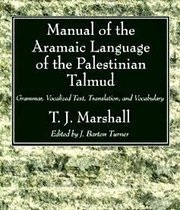 Real scientists for ages call it "Palestinian Talmud" because Palestine is 100% Jewish brand known at least since XIV BC. Romans has nothing to do with it - they call our land "Iudaea" only. Throughout stupid Jewish university professors Britain planted 100% disinformation that despite of well-known Palestinian Talmud, etc, the brand Palestinian is not Jewish. Britain counterfeited a story that brand Palestine was created by Romans in order to disgrace Jews. That is a very primitive rip-off, Romans called our land "Iudaea" and never replaced one local name with another local name, but stupid Jewish professionals and big mouth patriots are extremely happy to keep spreading this mortal Anti-Jewish plague. there is only Mandate for Palestine, no Mandate for Israel existed. "Anglo-Palestine Bank, a Jewish Company"
At 1902: Anglo-Palestine Co. Ltd is founded as a bank to serve Jews in the Holy Land. Today we call it "Bank Leumi". Even the most pro-Arabic "White Paper" of 1939 knows only "the Arab population of Palestine" (Section I, The Constitution). Arabs were by no means known as "Palestinians", as neither were Turks, Kurds, or others. Only the Jews were and still are. There is the Pinhas Rutenberg's Jewish "Palestine Electric Company" established in 1923 (by the way that is six years before Y.Arafat was even born). Now it is "Israel Electric Corporation" – the major electricity supplier in the region. 59 football teams were registered in FIFA for Palestine in 1929. 11 of them were non-Jewish and none of the non-Jewish teams wanted to be called "Palestinian". Only Shimon Ratner's all-Jewish team obtained the name of "Palestine National Football Team". The very first international game the "Palestine national football team" ever played was in Egypt in 1934. 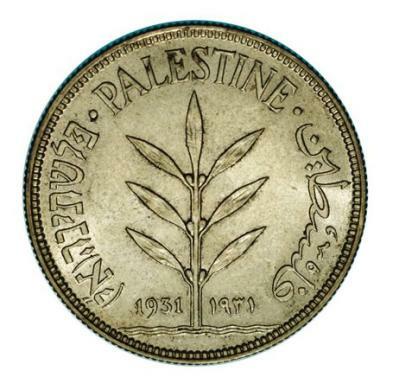 The Jewish Zionistic anthem "HaTikva" was played in Cairo for the "Palestine National Football Team" on March 16, 1934 because every Egyptian was 100% sure – only "HaTikva" may represent Palestine and Palestinians. There was no hate between Zionistic Jews and everybody else until Perfidious Albion planted terrorism and brigandage. As soon as an all-Jewish "Palestine National Football Team" arrived at the Continental hotel in Cairo, the official delegation of the Egyptian Football Federation came to warmly welcome them. The second international game the "Palestine National Football Team" played was in Tel-Aviv on April 6, 1934. Both of these games were between Zionistic Jews and Egyptian Arabs, and no hate was ever noticed. Fuad I, the King of Egypt and Sudan, sent a warm salutatory telegram to the players of an all-Jewish Palestinian team. Now this team is called "Israel national football team". By the way, Palestine Football Association (PFA) was established in 1928, and now it is known as Israel Football Association. 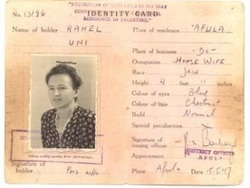 later on it was renamed "The Jerusalem Post". An all-Jewish "Palestine Orchestra" was established in 1936. All the historical maps, including Muslim and Christian, e.g. the one on the cover of This book, mark Palestine as Judea and Israel – the Jewish lands. All the maps show Arabian lands far away, far east from Jordan river, on the east side of the Ash-Shura mountains. Y.Arafat, a lieutenant of the Egyptian army, then a regular "Palestinian" could be absolutely anybody, even an eight-eye-six- handed alien from Mars. Napoleon Buonaparte's letter to the Jewish nation clearly proves That ONLY Jews are the Palestinians, not Circassians, not Arabs, not Armenians, etc. Recent identity thief MUST be stopped and persecuted via the court of law. Therefore it's absolutely irrelevant if nowadays we like Jewish brand "Palestinians" or dislike it. The essential Jewish property is directly associated with this brand in all the legal documents. Therefore we should have keep and protected this Jewish brand stronger than any bank or military base, but Jewish lawyers brainlessly rendered to enemies this most powerful legal weapon. That's how a new nation of phony owners of our land was created and officially recognized not by enemies, but by Israeli paid professionals! The other party has absolutely nothing to show for the brand case (they may have some real estate claims inside the country, but it has nothing to do with the country capital, symbolism or names). In this case the other party cannot use any emotional arguments like pictures of crying wounded children, pitiful homeless punks, etc. Even the "Day of Solidarity with the Palestinian People" cannot legally belong to the Arabs, only to the Jews. This brand is the essential part of the mighty terrorism weapon; so it must be hunted down and restored.